Good news for movie lover as MBO has exciting campaign that will let you win prize worth RM500,000. Do you love this campaign? MBO is collaborate with Grabies provide a chance to get free complimentary movie passes or free popcorn voucher. 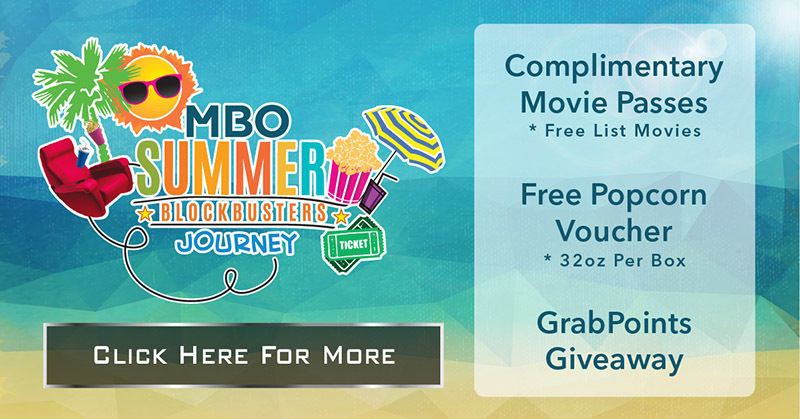 How to Join the MBO Summer Blockbuster Journey? Step 1: Go to www.grabies.com or download GRABIES APPS at apps store and login grabies account! 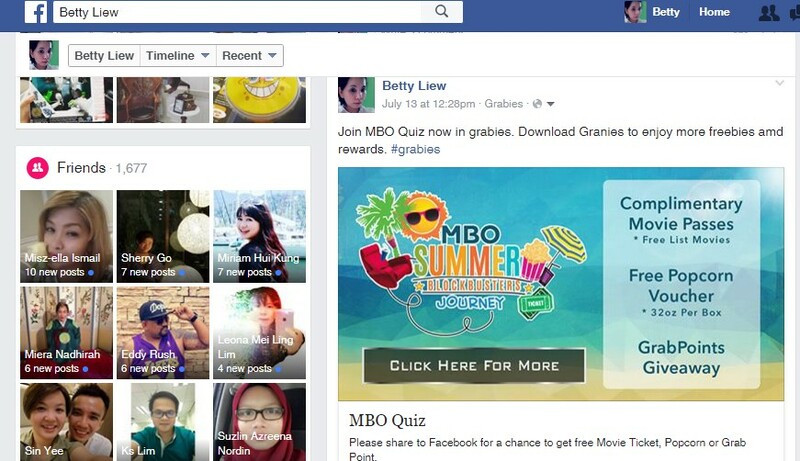 Step 2: Find MBO Quiz (MBO Summer Blockbusters Journey) and answer 2 simple questions. Step 3: Share your results at Facebook with public settings and be rewarded (Popcorn or Complimentary Movie Passes or Grab Points). I have joined the MBO quiz and how about you? I always love to use Grabies to earn more points, more rewards, watch the upcoming trailer and event grab free movie tickets using my Grabies points. & MORE Prizes to be given away !!! Will you be the next BIG WINNER ? 1 FREE POPCORN upon 3 stamps collected ! 1 FREE MOVIE VOUCHER upon 6 stamps collected! 1 FREE MOVIE VOUCHER & 1 FREE SINGLE COMBO upon 9 stamps collected ! SPIN THE WHEEL upon 10 stamps collected to reveal your BIG PRIZE ! 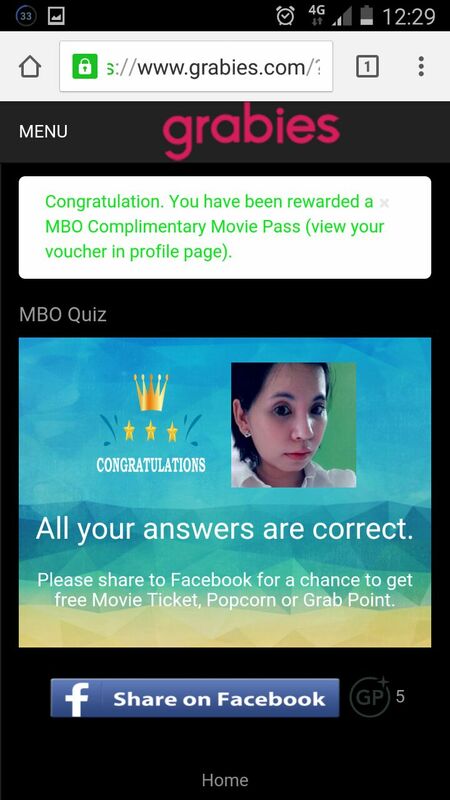 Join the MBO quiz now by download Grabies app in your mobile phone. Grabies is available on Android and App Store. For more information regarding Grabies, log on https://www.grabies.com or follow Grabies on their Facebook.